Adam Osborne (March 6, 1939 – March 18, 2003) was a Thailand-born British-American author, book and software publisher, and computer designer who founded several companies in the United States and elsewhere. Osborne was known to frequent the famous Homebrew Computer Club's meetings around 1975. He was best known for creating the first commercially available portable computer, the Osborne 1, released in April 1981. It weighed 24.5 pounds (12 kg), cost US$1795—just over half the cost of a computer from other manufacturers with comparable features—and ran the popular CP/M 2.2 operating system. It was designed to fit under an airline seat. At its peak, Osborne Computer Corporation shipped 10,000 units of "Osborne 1" per month. Osborne was one of the first personal computing pioneers to understand fully that there was a wide market of buyers who were not computing hobbyists: the Osborne 1 included word processing and spreadsheet software. This was at a time when IBM would not bundle hardware and software with their PCs, selling separately the operating systems, monitors, and even cables for the monitor. Adam Osborne's experience in the computer industry gave his new company credibility. Osborne Computer Corporation advertisements compared Adam Osborne's influence on the personal computer market to Henry Ford's influence on transportation. It is said that in 1983, Osborne bragged about two advanced new computers his company was developing. These statements destroyed consumer demand for the Osborne 1, and the resulting inventory glut forced Osborne Computer to file for bankruptcy on September 13, 1983. This phenomenon, a pre-announcement of a new product causing a catastrophic collapse in demand for older ones, became known as the Osborne effect, but according to some new sources the real reason for Osborne Computer's bankruptcy was management errors and insufficient cash flow. After Osborne Computer's collapse, Adam Osborne wrote a best-selling memoir of his experience, Hypergrowth: The Rise and Fall of the Osborne Computer Corporation with John C. Dvorak, which was published in 1984. Osborne was also a pioneer in the computer book field, founding a company in 1972 that specialized in easy-to-read computer manuals. By 1977, Osborne & Associates had 40 titles in its catalog. In 1979, it was bought by McGraw-Hill and continued as an imprint of McGraw-Hill, "Osborne/McGraw-Hill". In 1984, Osborne founded Paperback Software International Ltd., a company that specialized in inexpensive computer software. Its advertisements featured Osborne himself, arguing that if telephone companies applied the same logic to their pricing as software companies, a telephone would cost $600. One of its products was VP-Planner, an inexpensive clone of Lotus 1-2-3, which led to legal action. In 1987, Lotus sued Paperback Software. As a result of the lawsuit, consumer confidence waned for Paperback Software, and its revenues dropped 80% by 1989, preventing the firm from getting venture capital for expansion. In February 1990, the case went to court and on June 28, the court ruled that Paperback Software's product, by copying Lotus 1-2-3's look and feel menu interface, violated Lotus's copyright. Osborne stepped down from Paperback Software the same year. Paperback's database application, VP-Info continued to sell well for many more years, and acquired a second life as Sharkbase. Adam Osborne was born to a British father and Polish mother in Thailand, where his father, Arthur Osborne, was lecturer in English at Chulalongkorn University. All members of the family were fluent in the Tamil language, as Adam would remain until his death. His household had several full-time Indian servants. He attended Presentation Convent School in Kodaikanal until Class 6. In 1949, the Osborne family relocated to England, a move that caused much culture shock to eleven-year-old Adam and his two sisters. 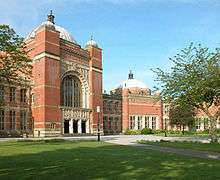 After attending state schools in England, Adam Osborne graduated from the University of Birmingham in 1961 and later received his PhD from the University of Delaware. He was also a member of Mensa. Married and divorced twice, first to Cynthia Geddes and later to Barbara Burdick (Zelnick), Adam Osborne had two sisters and three children: Marc who lives in Palm Beach, and Paul and Alexandra who both live in Davis, California. In 1992, Osborne returned to India in declining health, suffering from a brain disorder that triggered frequent minor strokes. He died on March 18, 2003, in Kodaikanal, India, aged 64, where his sister Katya Douglas (née Osborne) continues to live. ↑ Hogan, Thom (1981-04-13). "Osborne Introduces Portable Computer". InfoWorld. IDG. p. 1. Retrieved April 4, 2011. ↑ Advertisement (September 1982). "The $1795 Business Computer that is changing the way people go to work.". BYTE. p. 31. Retrieved 19 October 2013. ↑ Osborne, Adam (1984). Hypergrowth: The Rise and Fall of the Osborne Computer Corporation, ISBN 978-0-918347-00-8. ↑ Sharkbase/VP-Info User's Manual Archived December 24, 2013, at the Wayback Machine. ↑ Edward Teague (March 2003). "Adam Osborne, pioneer of PCs for people: dead at 64. His sister Katya Douglas (nee Osborne) continues to live in Kodaikanal.". Natural Science. Archived from the original on March 26, 2009. Retrieved 2008-12-20. ↑ John Markoff (March 26, 2003). "Adam Osborne, Pioneer of the Portable PC, Dies at 64.". New York Times. Retrieved 2014-01-12.